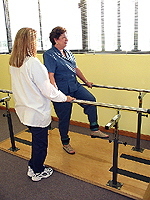 Physical Therapy is most effective through early intervention. Physical therapy is makes use of adaptive equipment that will enhance mobility, such as walkers, artificial limbs, and wheelchair, and with the training of their use. Who can benefit from Physical Therapy intervention?